Gene expression is regulated by epigenetics – patterns of chemical signals that are "above" the gene sequence. An individual's gene sequence is determined at conception, but the external environment and an individual's lifestyle can change the epigenetic sequence throughout a lifetime, continually altering how genes are expressed. 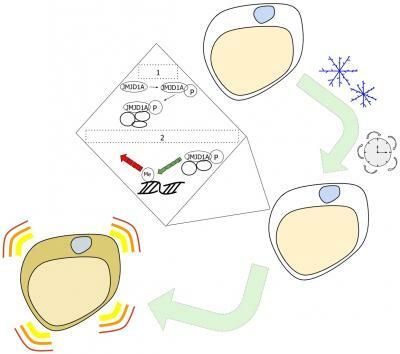 The scientific community has long suspected that there may be a stepwise process inside the cell to manage environmental influences on the epigenome, but no specific molecular mechanisms had been identified previously.